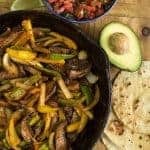 The best mushroom tacos made with portobello mushrooms, peppers, onions, and plenty of spices. 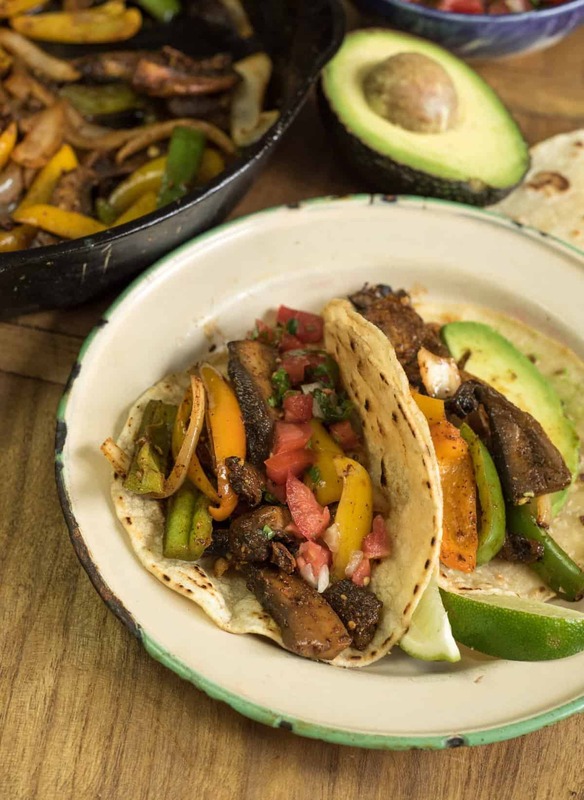 This meatless taco recipe won’t leave you hanging! Looking for more meatless dinner ideas? I’ve got you covered! 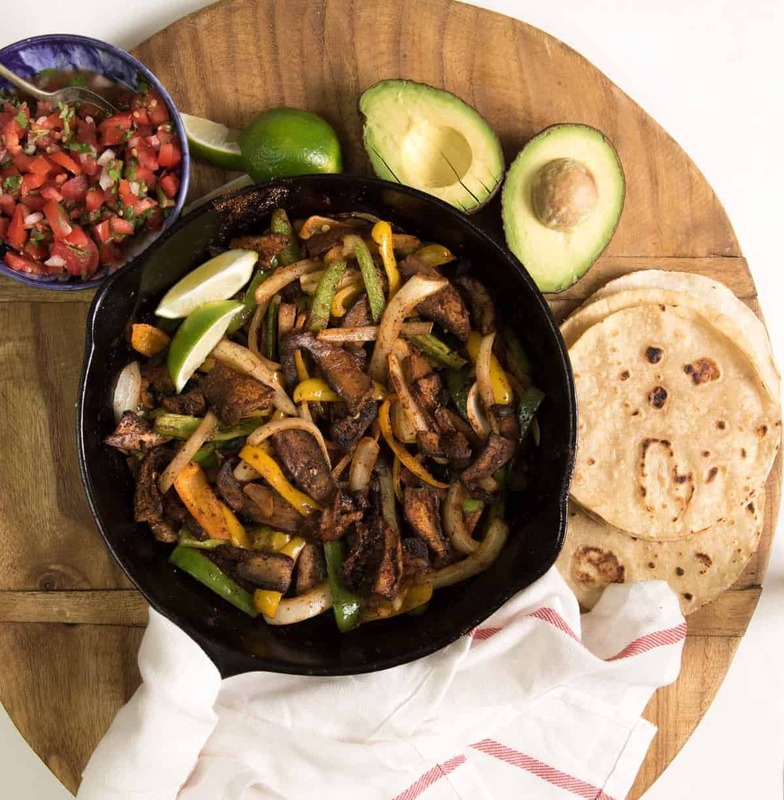 Taco Tuesday is a standing event at our house and these amazing mushroom tacos are one of my favorite meatless taco recipes to date. They are veggie filled, quick, easy, simple, and oh-so-satisfying. 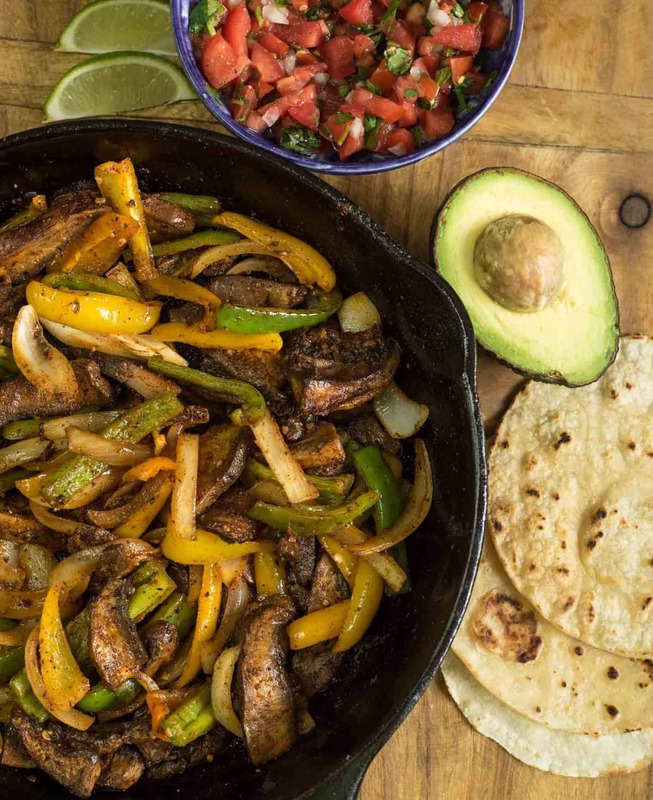 I dare say these are the best mushroom tacos out there but they couldn’t be simpler to make. 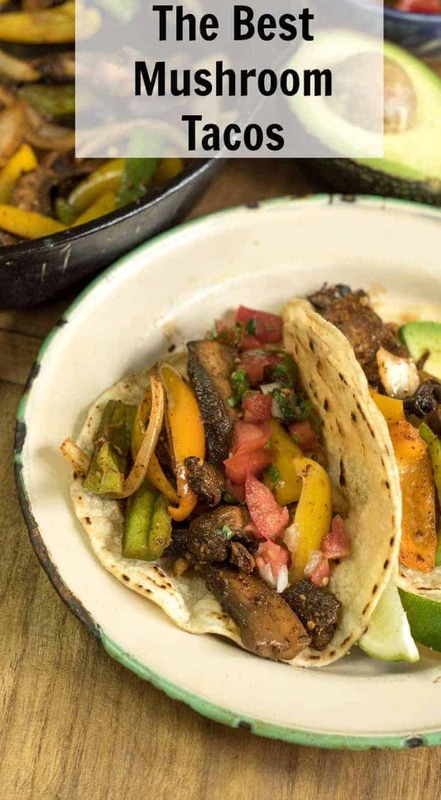 Mushrooms make great tacos because of the texture, taste, and look. They absorb the seasoning and flavors really well, they have a great “meaty” texture that is unlike other vegetables, and they look so much like steak! Half of my kids didn’t realize they were eating something that wasn’t traditional steak tacos and the other half noticed but didn’t care because they tasted so good. 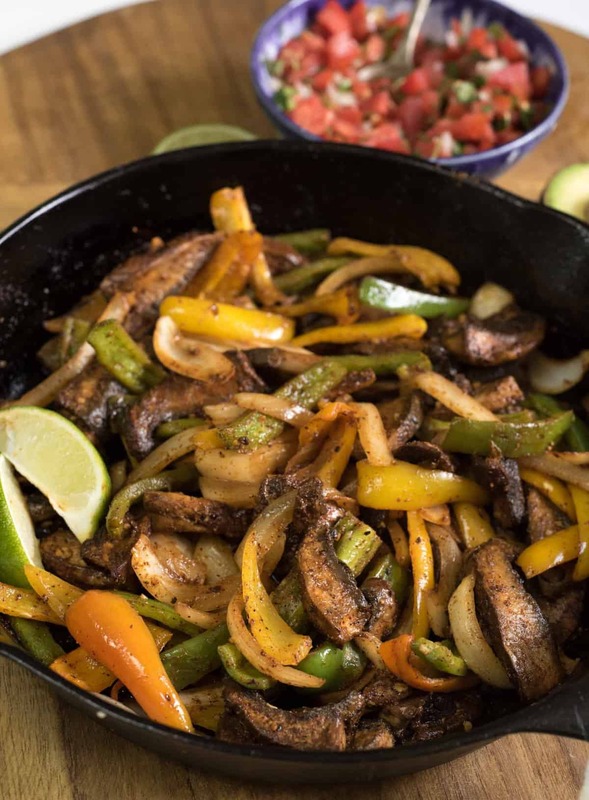 Other perks about using mushrooms instead of meat are that they are super low in calories, have all kinds of great vitamins and trace minerals, and are budget-savvy, too. So many things to love about making mushroom tacos at home. Don’t crowd the pan. You cook the vegetables and the mushrooms separately (and then put them back together in the end) for a reason. If your pan is too crowded, you end up steaming your vegetables instead of sautéing them, and that’s just not the same. For best results, don’t crowd that pan. Speaking of pan, cast iron is my jam. It works so well and is non-stick without any off metals or chemicals. Have I converted you over to the cast iron side? You can do it! $12 for a new skillet? You deserve it! Big portobello mushrooms work great for this and look a lot like meat. You can also use the “Baby Bella” mushrooms (Costco has them often) though they look more like mushrooms when sliced. White button mushrooms just aren’t the same and cook down too much for this recipe. I don’t recommend them. Don’t overcook any of the veggies here; tender-crisp is the goal. They’ll soften up a bit as they rest in the pan so leave them slightly crunchier than you like to eat. 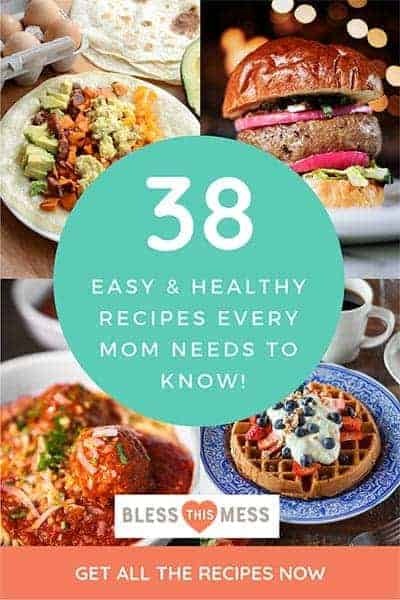 This recipe is great with my easy Spanish rice in the rice cooker on the side, along with the best blender salsa (uses canned tomatoes so it’s a great winter recipe) and homemade slow cooker refried beans. To prepare the mushrooms, rinse them under water and rub your fingers along the dark “gills” on the underside to remove the gills. Remove any debris or dirt. Slice into 1/4 to 1/2 inch wide pieces. In a small bowl, toss the prepared mushroom slices with 1 tablespoon of olive oil and the Worcestershire or soy sauce. Then add the chili powder, paprika, cumin, and salt, and stir to combine. Set aside. 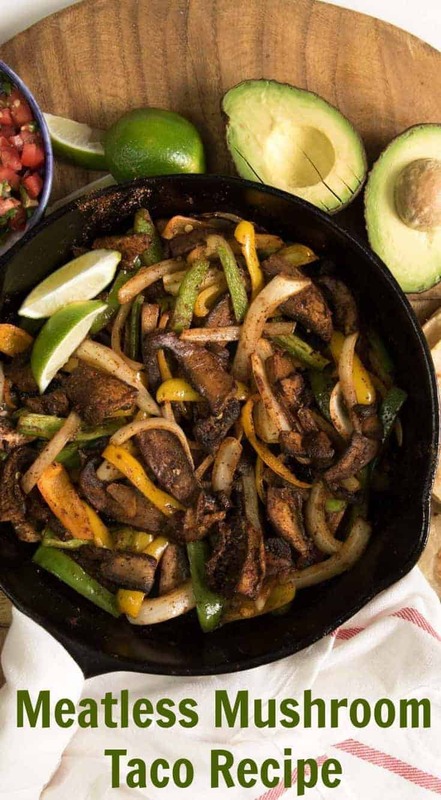 Heat a large cast iron or non-stick skillet over medium-high heat. Add the remaining 1 tablespoon of oil to the pan. Add the onion and peppers and cook, stirring often, until the vegetables are just starting to soften, about 5 minutes. Remove the vegetables from the pan. Add the marinating mushrooms and all of the accumulated juices into the hot pan. Add a little more oil if needed. Cook until the mushrooms are tender, 4-5 minutes. Returned the vegetables to the pan and cook until heated through. Cook until the vegetables are to your liking without overcooking. Adjust salt and pepper to taste. Add the juice of one lime and stir to incorporate. Remove from the heat and serve as you do other tacos, in a tortilla with all the toppings. Also makes a great topping for taco salad. Big portobello mushrooms work great for this and look a lot like meat. You can also use the “baby Bella” mushrooms (Costco has them often) though they look more like mushrooms. White button mushrooms just aren’t the same and cook down too much for this recipe. I don’t recommend them. How easy was that? In less than thirty minutes, you can have one simple and delicious meatless meal on the table and your whole family will enjoy it. 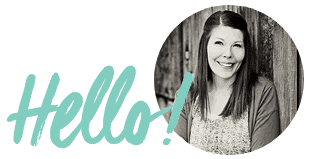 I can’t wait for you to try the best mushroom tacos ever; they are a game-changer! These look yummy! I just bought some portobello mushrooms at the farmer market, I may need to try these. Thank you for sharing this delicious recipe with the world!